It looks like a recurring role. Claudia Christian was on an episode last night playing the police Captain. Ninety-five miles by the short scenic route, with no traffic and a lot of winding roads, that will take about 3 hours. 110 miles by freeway, and if no traffic, will take about 2 hours. The Icarus still could have exploded, just after the Shadows took everyone off who were willing to cooperate with their agenda. Justine could also be someone who is working for IPX that was sent to investigate the Icarus disappearing and now working as an intermediary between the Shadows, IPX and Earth (sort of a middle man). She was playing a police captain in episode 4. I hope it becomes a recurring role. I hit the report post button on 21 November and it looks like the post has vanished. Thank you Moderators. Just hit the Report post sign and report as spam. You can see he as made an identical word for word post in another thread. Replace the open parenthesis "(" with open an open bracket "["
She was probably reassigned to San Diego. I just want to know if ... ...the blue eyed dragon is going to spit fire or shards of ice. RIP Stephen. I enjoyed your work and I'll miss you. I saw the original back it was first shown by ABC back when I was in the Navy. Poll: How Would You Show Both Versions Of The Gathering? Re: How Would You Show Both Versions Of The Gathering? Whatever happened to Jade Jaguar? This is so sad. He will be missed. It could have been purchased, or more likely one of Clarke's people on B5 security got him the ID. Judging from the trailer, this is going to be a good movie. The alien ship in the Prometheus trailer looked just like the one the space tug Nostromo found on LV-426 in the movie Alien. There's also MGM HD, Universal HD, EPIX HD (Paramount), Sony HD to name a few. I have found the opposite to be true. 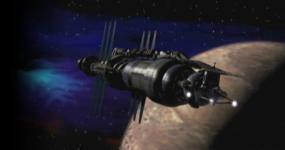 The Soul Hunter ships were seen by Delenn in the season 4 Episode "Atonement" during "the dreaming."